Gaming doesn’t always need a high end computer, you can experience awesome gaming even in a tablet and the best example is the iPad. Although there might be thousands of games for the iPad out there, most of them aren’t worth checking out, but some games seem to be good and in order to get it you need to pay so we present you with the 5 Best iPad Games Worth Paying For. There are thousands of apps in the gaming section that are not free, but spending on each of them and expecting each of them to be interesting won’t be a wise thing to do. Check out below for our favorite list. If you are a person who loves to ride planes then you probably should try this game. In this game, you can ride the funky airplane through the crowded places, the graphics is not that awesome but the entertainment it provides is just brilliant. The game isn’t easy at first but it gets easier as it progresses because the more you play the better you get. Go under the arches and much more fun things to do. There aren’t many games which are as good as this out there. It costs 2.99 pounds or Rs. 170 through iTunes India store, but its a game worth paying for. 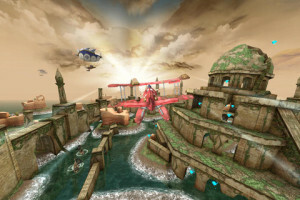 This is yet another awesome game that you should try out for your iPad. 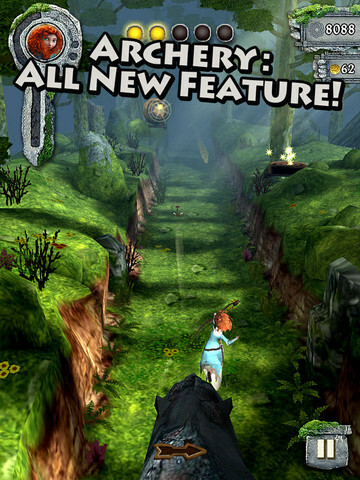 Although the game is similar to the actual temple run the theme is completely different and I believe it’s more exciting as well. This is an awesome game and its under 1 pound, so this is really a game worth the money. Temple run is basically an action video game in which the player has to run and avoid obstacles and it ends only when the player gets eaten by the demonic monkeys or of he/she falls off. 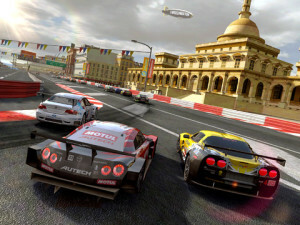 If you are a true racing fan or if you love racing games then you should try this awesome game out. It’s is easily the best driving simulator in the App Store. The best feature is the multiplayer feature using which you and you friends with iOS devices can compete, so the game has good features and its also really exciting. The career mode is another highlight, its another awesome thing and there is also this super time trial which is bound to get you addicted to this game. 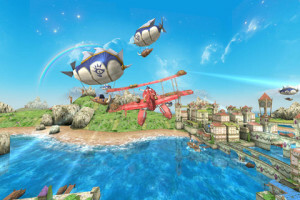 The graphics is perfect and the gameplay isn’t that easy but once you get the hang of the game then you’ll love it. The price is a bit high, it costs $6 and in the Indian App store, it costs Rs. 390 but still gotta say its worth it. Angry Birds space is yet another fun game that you’d love playing. The space theme is really cool. It’s harder to shoot the birds as there is no gravity in space. The graphics is way more awesome and there are better superpowers which needs attention. 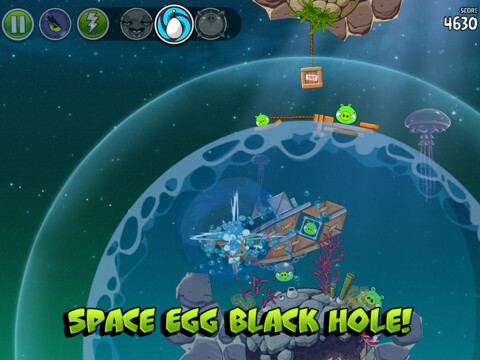 The Finnish company Rovio created Angry Birds, and unsurprisingly its the most popular mobile game franchise and it has sold over a whopping 100+ million copies which is remarkable. 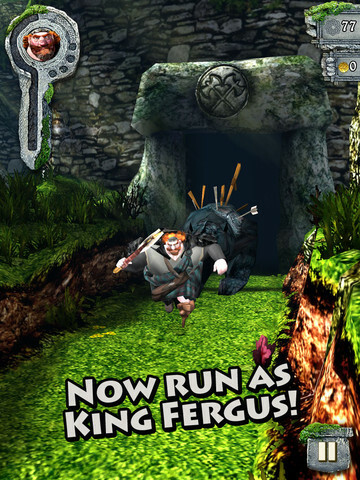 This game costs a meagre 0.69 pounds, but its worth it. 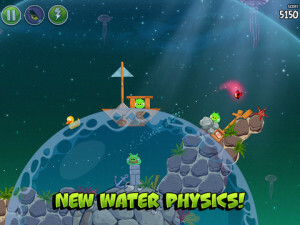 So if you haven’t played Angry Birds Space yet, then its a game worth playing. First of all, I love the theme in which the game is set and its a game which is fun and also intelligent. The gameplay is exciting and the physics engine is pretty crisp. 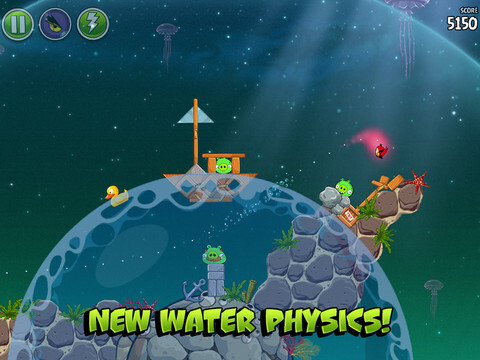 The game is based upon physics and it gets more complex as you get to higher levels. 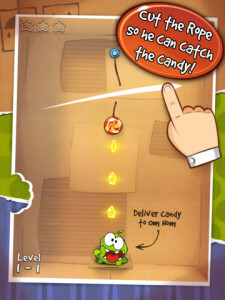 The basic objective of the game is to cut the rope at different points in order to make the frog eat the candy. Your logic is something you’ll find yourself using because this game demands it and also your knowledge of physics will also count. It costs $3.99 or Rs. 220 in the Indian App store. 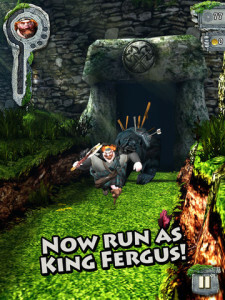 Altogether its a very good game and its a game for people of all ages. So if you haven’t played it yet, check it out. 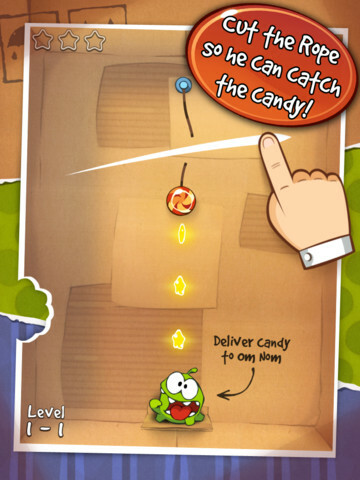 These were the five best iPad gaming apps which although aren’t available for free, you are paying for some good entertainment and excellent graphics loaded for you to get a good value on what you spend for the apps. Check out our other lists of iOS Apps, like Best lifestyle apps for iOS, Best News apps for iOS and the best iOS Apps for Photo editing.